Michelle has done it again!!! This new kit Halloween In The Kingdom 2 is so much fun ... it goes perfectly with her first Halloween In The Kingdom. 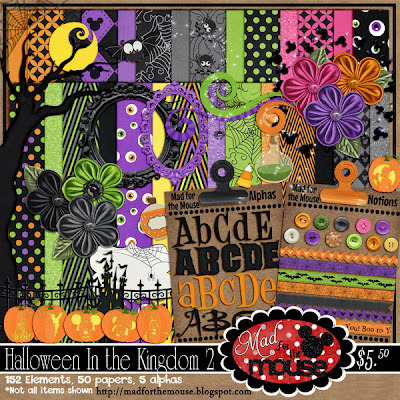 Just click on the preview to go to Mad for the Mouse and pick up this kit! Michelle also has some freebies for you. 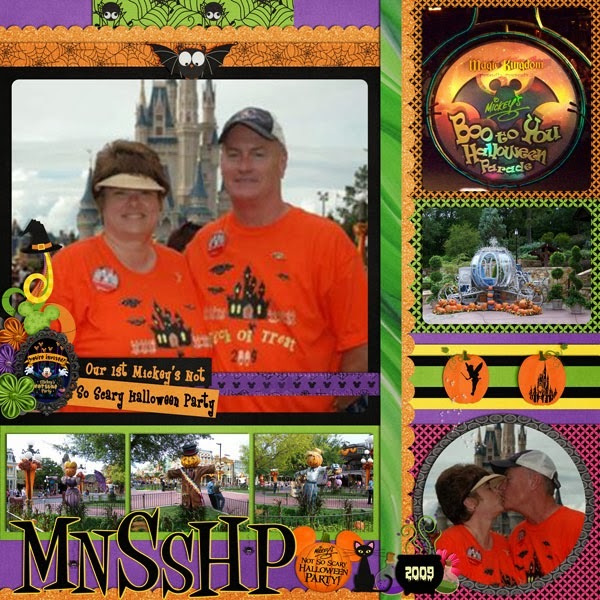 Here is a layout I made with this new kit and a few items from Michelle's first Halloween In The Kingdom.